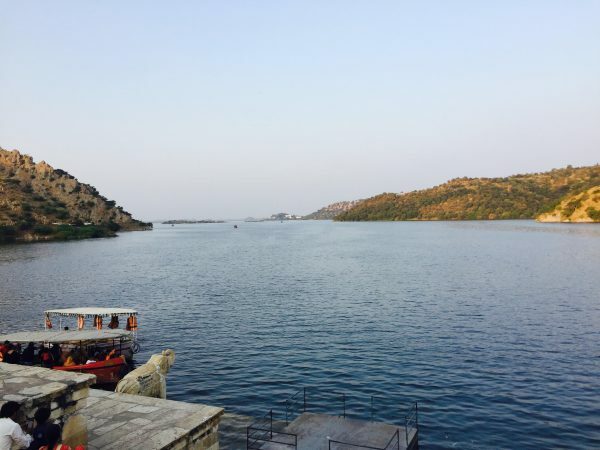 Jaisamand is located in Udaipur district, away from the main city and is a retreat for people of the neighboring cities. 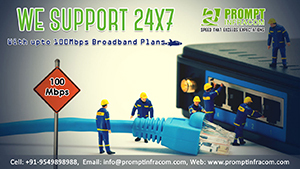 There are many places of interest at Jaisamand that can make a day well spent. Here we are stating the places to visit at Jaisamand, for a fun and exciting trip! Jaisamand Sanctuary is situated at a distance of nearly 51 km south-east of Udaipur and spread over an area of 160 square km. Jaisamand Sanctuary was introduced in the year 1957. This sanctuary is the habitat of innumerable species. The species include sloth bear, leopard, chital, chinkara, wild boar and a wide variety of the birds that breed here such as darter, open bill stork, pond heron, little cormorant and Indian Shag. The aquatic life and the amphibians are also found in the lake such as the fish and the crocodiles. 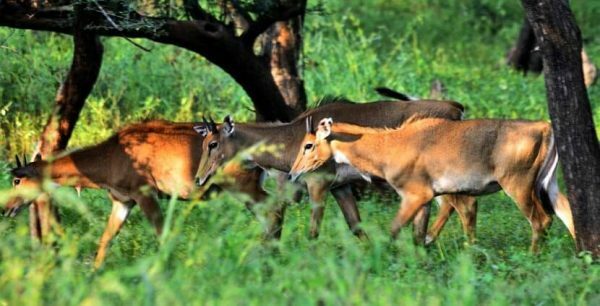 Best time to visit Jaisamand Sanctuary: November to April. The Jaisamand Island Resort is the sole resort in North West Region of the country to be built on a Private Island of 40 acres. Jaisamand Lake and the Sanctuary are rich in fauna with counts of over 300 bird species, which makes the place ideal for bird watchers too, who can enjoy bird watching while on their stay the resort. This resort has an idyllic location to enjoy the vastness and beauty of the lake. 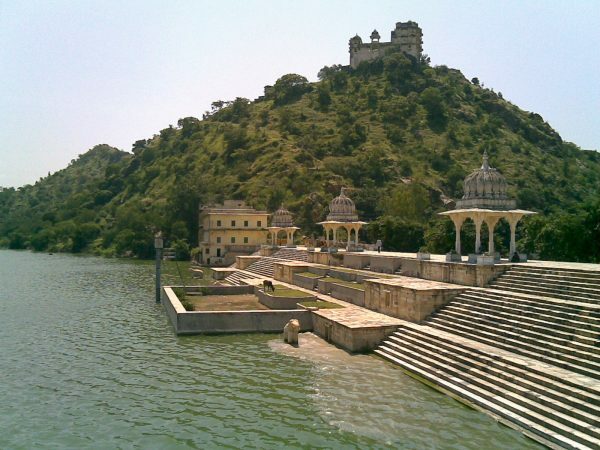 Also, Jaisamand Lake is famous its quality of fish, which is sold in nearby places. Fried fish is a common delicacy of the Jaisamand region. Jaisamand Lake known as the second largest artificial lake in Asia. 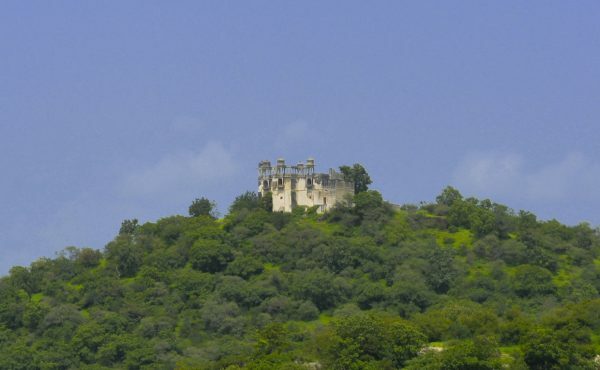 Located at a distance of nearly 51 km from Udaipur. About the history of this artificial lake, it is said that there was a small puddle or lake, which was called Dhebar Lake. Further, it is said that Maharana Jayasingh’s childhood name was Dhebar and the name of this lake was named after him. Maharana Jaisingh later named this magnificent lake Jaisamand after his known name which means ‘Ocean of Victory’. Later, this small puddle was converted into a huge lake forming a dam or wall by the Aravalis on the Gomti River. The Jaisamand Lake Dam is 300 Meters long and is a part of the Heritage Monuments of India. This dam has a Shiva temple, the lake also boasts of six interesting cenotaphs carved from marble on its embankment. One can enjoy a boat ride that is ticketed. Assistant Director of Tourism Department, Sumita Saroj had also announced setting up jetty and Houseboats and Catamaran Boats for the visitors to spend their stay in the middle of the lake. This will set off soon. Maharana Jaisingh built many grand palaces along the banks of the lake. This also included the small palace for his queen, Kamladevi. Also popular as Hawa Mahal, this palace is also known as Roothi Rani Ka Mahal and is quite fascinating. Constructed in A.D. 1680-1698, it was gifted to Maharana Jaisingh’s youngest queen Kamladevi. Legends say, being dismayed with Jaisingh, she left her palace to lead a segregated life, hence, the name came to be known as Roothi Rani-ka-Mahal. Roothi Rani Ka Mahal is a heritage structure which is now being maintained by the archaeological department to attract more tourists. The place is developed as a trekking spot as well and is great for the same. 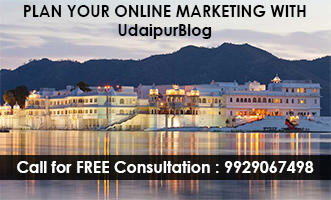 The lake is nearly 51 km away from Udaipur City can be reached by using road transportation. Can be visited any time of the year, but monsoon is the best time to visit Jaisamand. From July to August. Previous articleState Budget 2018: Reactions of the People!